Fuller Street offers production equipment rentals to subsidize your needs. An event usually takes an array of parts and pieces to be functional and visually stimulating. Fuller Street can help by offering an extensive assortment of production equipment rental inventory. 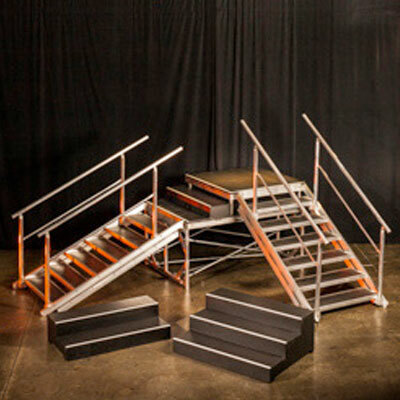 We house a large quantity of staging equipment that includes, staging decks, stairs, choir riser, and the all the components needed to construct ramps of any kind. Fuller Street also rents other production elements that include, aluminum box truss and truss accessories, our exclusive aluminum expo wall system, set flats, and lighting fixtures. Rent the best staging equipment in the business. Fuller Street offers the best staging rental equipment in the business. 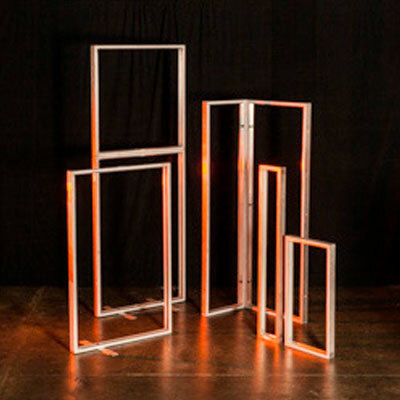 We offer a wide range of sizes and accessories that allows for flexibility and imagination during stage design. From round stages to various shapes, we can help with any equipment you need. Stair structure rentals that meet specifications. Stair access can be a big concern for getting your talent on and off stage efficiently. Fuller Street can provide stairs for rent in virtually any form, height or width. Choir risers known throughout the business. Fuller Street's choir riser rentals are well known throughout the business. 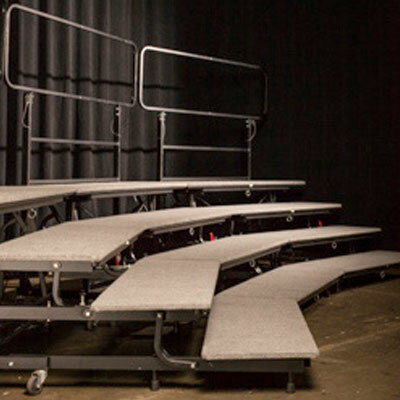 We rent a 4-step choir riser that rolls into position and can be assembled by one person! We can also provide staging equipment that can be used to create a more elaborate choir riser set. 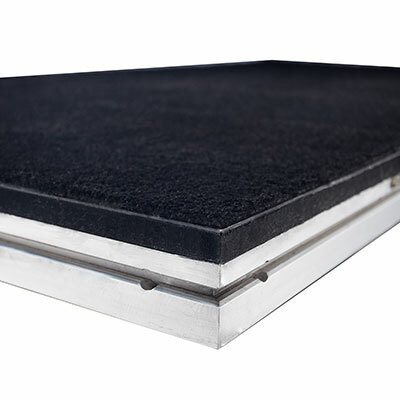 ADA ramps, car ramps, equipment ramps and more. 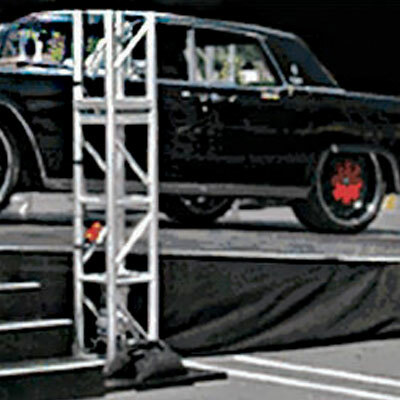 There are many uses for ramps at stage events. From ADA ramps, to car ramps, to equipments ramps, Fuller Street understands these variables and can supply the ramp rental equipment you need to get the job done. Large inventory of rental truss and accessories. Truss is used in almost every production around the world. Fuller Street's large supply of 12" and 20.5" aluminum box rental truss is available when you need it. We offer various individual sizes from 6", all the way to 10'. We also house accessories such as truss spaces, truss bases, clamps, and sandbags. Rent our exclusive expo wall system. 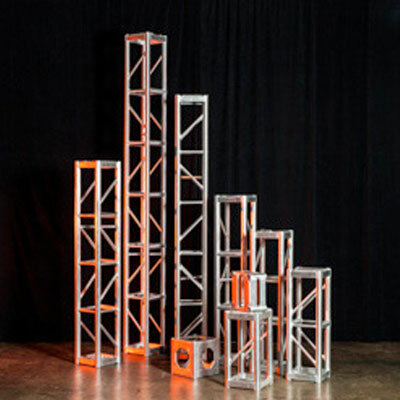 Fuller Street offers an exclusive aluminum expo wall system for rent. Our wall system is extremely versatile and can be used to serve as backdrops, set flats, step and repeats, product displays, private rooms. Our system was design so that it can be skinned with a variety of materials that allow you to make your design, completely custom to your event or exhibit. Providing you with the right conventional lighting for your event. Conventional lighting has been a staple in the events industry since it's inception. Fuller Street understands the ongoing need for conventional lighting rentals. 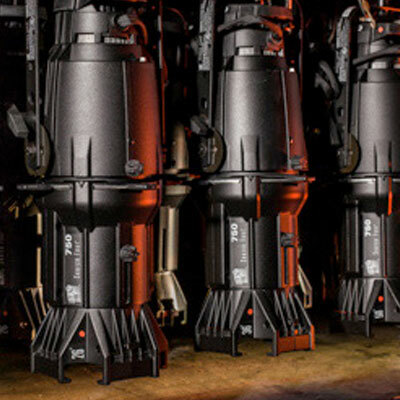 With our assortment of ETC Source 4 Pars and Lekos (ellipsoidals), as well as our Par 46 and Par 20 fixtures, we can assist you in providing just the right light for your event. Make the move to LED lighting. Fuller Street has also made the move into LED and offers rental LED lighting. The efficiency and flexibility of LED lights at any event makes them a very powerful and cost effective tool. 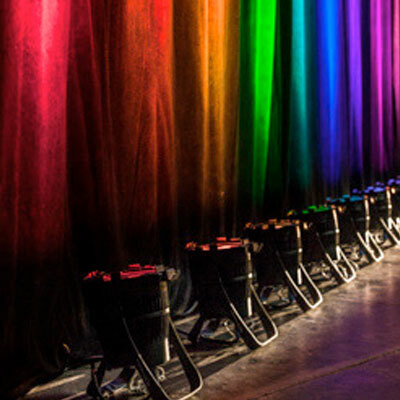 We offer color mixing LED pars, moving head fixtures, and the cable that allows these intelligent fixtures to communicate to the controller of your choice.